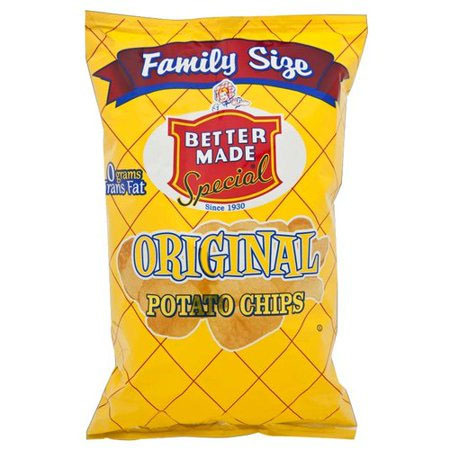 As a preventative measure, Better Made Snack Foods of Detroit, MI, is recalling 10-ounce packages of Original Potato Chips because they may contain undeclared milk. People who have an allergy or severe sensitivity to milk run the risk of serious or life-threatening allergic reaction if they consume these products. The recalled 10-ounce Original Potato Chips were distributed nationwide in retail stores and through mail orders. NO ILLNESSES ASSOCIATED WITH THIS VOLUNTARY RECALL HAVE BEEN REPORTED TO DATE. Sale and distribution of these items should stop immediately and any product remaining in the market should be removed. 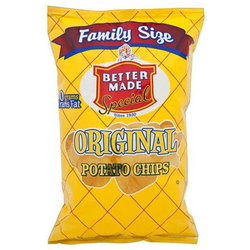 Consumers who have purchased 10-ounce packages of Better Made Original Potato Chips are urged to return them to the place of purchase for a full refund. Consumers with questions may contact Better Made Snack Foods at (313)-925-4774 Monday through Friday 8:00am to 4:30pm. NO OTHER BETTER MADE SNACK FOOD PRODUCTS OR FLAVORS ARE RECALLED.